Here is my reflective Voicethread around the New Literacies Institute taking place here in Massachusetts. Each day, I am adding a podcast reflection. Thanks to Gail and Heidi for adding some thoughts and questions to my preconference podcast. I invite you to add your thoughts and questions to the thread. Here is a short video I made around our work on defining New Literacies, where tables in the room tried to symbolize their view of New Literacies. I just posted some thoughts about the preconference meeting of the New Literacies Teacher Leader Institute on this voicethread. I’ll add thoughts each day and re-embed. Please add your own thoughts to the thread, if you want. The institute begins this morning, so … getting ready. I have decided to try to use Voicethread for reflecting on the coming week in the New Literacies Teacher Leader Institute here in Boston. I encourage you to add your thoughts, or questions, or reactions to my own thinking as I go along, and I will try to answer and respond as best as I can. Each day, I will add a new page to the Voicethread and re-embed it here at the blog. 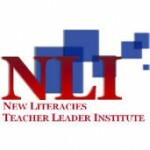 Today, I head to Boston for the first activities around the New Literacies Teacher Leader Institute that is being sponsored by our Massachusetts Department of Education and run by the New Literacies Collaborative of NC State. The agenda for the week is pretty chock full of interesting elements that seem to run the gamut from theoretical underpinnings of what we mean when we talk about literacy in the 21st Century to exploration of sites and tools that might have some value to the 100-plus teachers who are coming to the week-long event. There is also a lot of inquiry work that will be going on as teachers will be delving into topics and exploring them, and planning out activities for the coming school year (there are a few follow-up sessions during the year) so that they don’t just leave the event and leave what they have learned behind in Boston. I am one of ten teacher-leaders at the institute, which seems to mean that I will partnering up with one of the main presenters and speakers, and working as a partner/conduit with small groups of teachers. I can’t help but notice on the list of the other teacher-leaders that only two of us are classroom teachers right now. Most are instructional technology coordinators and a number of them have past classroom experience. I am looking forward to meeting with them tonight for a pre-planning session and dinner. 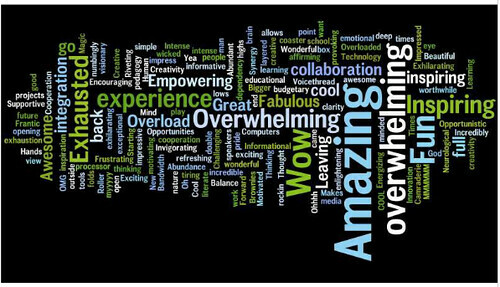 As you may note, this is entitled “teacher leader” institute because schools and districts are sending teams of teachers, who will in turn bring ideas back to schools to share with colleagues. The idea, I think, is that change is more apt to happen when you have your own network to turn to in your own school. We want to avoid the “isolation” factor when it comes to pushing people forward. So, I wonder: who are these Massachusetts teachers on their way to Boston? I imagine there is a group who are right now ready to push ahead with technology integration and need a helping hand; there is likely a group of people who are already beyond the aspects of the institute; there is no doubt a group of teachers pressured by their principals and superintendent to take part because the institute has to do with technology and that buzzword can’t be ignored; and I suspect there folks who already feel overwhelmed when they look at the packed agenda for the week and may feel like quitting on Day One. I hope we can reach most of these folks. In particular, we need to focus on those teachers who need a little push forward but are ready and we need to help those folks who are sort of interested in dipping their toes into technology but don’t know where to begin. These two groups form the crux of a movement because they can become real role models for colleagues. One of the keys will be the balance between deep theoretical discussions about the issues around 21st Century literacy and providing time to work with the tools we are talking about. I like that they have built in periods to play with some “cool tools.” On the list are sites like Glogster, Google Lit Trips, Voicethread, Apple Remote Desktop, Twitter, Jing, Xtranormal, Zotero and more. I am a little worried that these sessions are only for 45 minutes, which is not nearly enough time for a presenter to introduce a concept, get folks playing and then reflect on possibilities for the classroom. That last piece is critical and one that we often forget in the rush to the door. I’ll be trying to blog and tweet and do all of that as much as I can — I may even set up a Voicethread and open it up to all of you. I did set up a Twitter Newspaper through a site called Paper.li for the New Literacies Event. It refreshes every morning. And there is a Twitter hashtag for collecting tweets from the event. As I get ready to head off as a teacher-leader of the New Literacies Initiative next week in Cambridge, MA,that is sponsored by our state Department of Education and features some bigwigs in the field, we are being asked to bring an “artifact” that represents our views on learning and working with teachers. 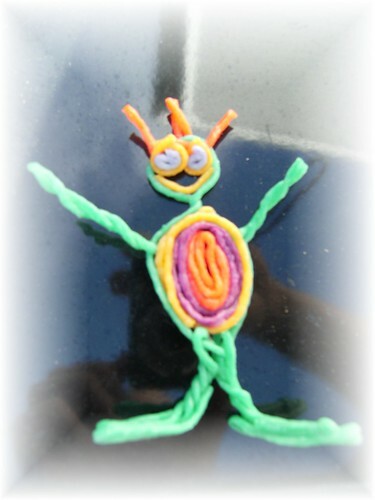 It dawned on me that I could bring a Wiki Stix dude, which symbolizes (for me) the use of “play” with students in the classroom and with teachers during professional development sessions that I lead. I always view the work and learning through the prism of having time to play and explore. With teachers, that time set aside in a session is invaluable. Often, we teachers are lectured to by PD folks and then told to implement, but we rarely are given time to just explore a tool or technique or whatever. Just like kids, adults need time to play around, and through that sense of play, we can try to figure out the possibilities of a tool or idea for the classroom. If I want my students to make movies, I should be making movies, too. If I want my students to create a collaborative document, then I should, too. Glogging? Podcasting? All of it — I do it, too, so that I can share my experiences with my young learners. My Wiki Stix guy — OK, I need a name here — is a representation of that concept because if you put some of this bendable material (often, I have used clay) in someone’s hands, it is unlikely they will be able to resist the urge to “create” something and that is what learning is all about. I’m interesting in seeing what the other folks bring and whether or not my off-kilter artifact will fit right in. Or not. View more presentations from cburnham. Here is an area that I am weak in as a teacher — how to successfully guide students to read accurately and appropriately on task and with clear reading intent when it comes to online documents that integrate multimedia, hyperlinks and more. I was thinking about this yesterday as I was reading through a research article co-written by Dr. Donald Leu, who is one of the main leaders of a New Literacies Institute that I am taking part in next week as a teacher-leader. The article is entitled New Literacies and Online Reading Comprehension and it quite interesting. The authors note how quickly the world of literacy has changed, and how we don’t really know all that much about how young people are learning not just to navigate content online, but how to read and comprehend the information there. Like many of you, I talk to my students about authenticity of content — to be critical readers online — but I don’t often guide them through how to read a webpage or a multimedia document. Why is that? Do I think they just know how to do it? (a rationale that too many of us teachers make when it comes to kids and technology) I don’t make the same assumptions when it comes to thinking about theme and character development and point of view when it comes to our novels? Why don’t I do the same for the world where they spend most of their time — the online space? The authors of this study adapted a reading comprehension strategy called Reciprocal Teaching, which has steps that move from teacher-centered work towards independent student work, and it seems to center around making reading comprehension strategies visible through talk-outs and other activities. Their Internet Reciprocal Teaching method does the same, through guided reading and questions around online reading activities with a push towards student inquiry around what they are reading. So, I look forward to chatting with Dr. Leu next week and maybe, even as a teacher-leader at the institute, I need to come up with my own action plan that puts some of these ideas into motion for next year.